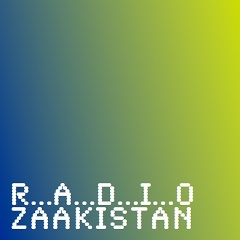 Good afternoon, this is Radio Zaakistan. I’m your host, Zaak Robichaud. To open this series I’m going to steer you through my early childhood in music and if you listen long enough you’ll hear how Joni Mitchell got me bit by a guard dog and why I decided to play the French Horn. As the father of two young children, I marvel at their fascination with music and in particular I wonder what songs they will associate with their childhood when they are adults. As babies, they each had their own goodnight song, but they have all but outgrown those. My son identifies my favourite bands, Arcade Fire and U2, as his favourite bands too. And then he tells us he likes electronic dance music like Katy Perry or LMFAO when it comes on the radio. I’m a little alarmed. When I hear “… back to the days of Christopher Robin and Pooh,” I’m transported back to the pines around my house, back to being a carefree 5-year-old. It’s funny what you remember. I think he still plays that riff when he picks up a guitar. Much of the music in our family’s collection was on dubbed cassettes that were copied from our friends’ collections. This meant that as a tape was put into the player I often didn’t know who the band was or what the name of the song was, let along have access to the lyrics. I did know that I loved this one instrumental from French traditional band Malicorne. The use of medieval instruments had me intrigued as to how it could be played by me and my elementary friends. I spent quite a bit of time trying to figure out how to play the different parts and I even shared it with my grade 5 social studies class at some point thinking it was traditional French Canadian music (it isn’t). With money in my pocket as a 12-year old, I was now ready to start buying my own music. I found my first tape at a Kresge’s in Red Deer, Alberta. I must have paid close to $12 for The Beatles 20 Greatest Hits back in 1988. Side B was far more interesting to me with tracks like Come Together, Hello Goodbye, and Penny Lane, but my favourite track was this stand alone single. I had entered the world of Rock ‘n Roll, a few decades late, but I had arrived and I wasn’t going to leave. That concludes today’s program. Thank you for listening to what I was listening to from 1978-1988 and what formed my earliest musical tastes. I’ll be back again with other playlists.